What The Hell’s Goin’ On Out There? In one of those sterling NFL Films clips from the 1960’s, Green Bay coach Vince Lombardi, looking at no one in particular, is seen marching around on the sideline in his dark trenchcoat, barking What The Hell’s Goin’ On Out There ?, not pleased with the performance of his Packers. Wind chill in Lambeau Field emanated from each of his breaths, one hand in his coat pocket, the other holding a rolled up game plan that would have felt like a log, should he have chose to bang it on somebody’s head. His players looked, turned away, wisely, as if innocently standing on a subway platform, looking down the tunnel, quite eager for the train to arrive. Huh? Who, me? As the 60’s are often confused with halycon days, it was, however, a much more aesthetic era in pro football, as the game was growing up for the masses. Back then, coaches wore their own clothes, often coats and ties, and were were not contractually bound to be walking advertisements for NFL Properties, Inc.
About a half century later, let’s hope it is current Packer coach Mike McCarthy who shows some animus amongst his team, when the Saints visit Green Bay Thursday night, to open the 2011 season in prime time. The game is generating increasing electricity as it approaches, not in relief that there is no work stoppage that everybody in the country fretted too much about all year, but subconciously, that the inherited misery that is pre-season is fnally over. Pro football is much more appealing when it finally becomes about the game, and smashingly successful when it pulls a mirage over it’s business. But they have been playing for pay since circa 1920, and off on another fall ritual we go. The NFL should kiss the sky every year at this time, as it proceeds to once again fantastically capitalize on a game it would like to have us believe it invented. TV and theater fit the league like a glove, and Thursday’s matchup of the past two Super Bowl Champs is just perfect. One one hand, we have the ghost of their legendary coach and their charming little town being represented once again as Titletown USA, and on the other, the Muse of the unlikely Saints, a defining part of their history. It seems there are some fans across this country in some denial that New Orleans has a Lombardi Trophy belonging to it, too. Besides having its own share of charm…..
At the quarterback position, The Big Three, of Brees, Brady, and Manning has been offically been expanded to Four, by the Pack’s Aaron Rodgers. A fifth, Phillip Rivers out in San Diego, is knocking on the door, but needs an AFC Championship to get in. Rogers (a product of the University of California, Berkeley) is tall and rangy, with the quick release of a Marino (blitz at your own risk), some velocity of Elway’s, the accuracy of a Montana, and the laid back, glassy eyed confidence of a Namath. He acts, simply, like a kid who loves to throw the football. Often, and well. And isn’t in a hurry to tell everybody about it. The great quarterbacks, players really, seemingly all have one aura in common: you may have just got me, or even get me again, but trust me, I will eventually get you when it counts…….and you will know it. Yep, Mr. Rodgers has all the goods. The Saints semi-revamped defense will have been successful if they contain him to some thoughts of delayed gratification. Rodgers is responsible for saving the hides of Coach McCarthy and Packer General Manager Ted Thompson after they ushered Brett Favre out the door, despite him leading them to the NFC Championship in his last season with the team. Rogers also is a favorite of the Green Bay Police Dept., as there could have been riots in the streets if not for his success. At just age 27, the only red flag on his Hall Of Fame ship is the pair of “mild” concussions he received last fall. The Packers have lots of speed on defense, more than the Saints. Green Bay nose tackle B.J. Raji is listed at 6′-2″, 337 lbs., but moves like a ballet dancer en pointe. Like another Super Bowl opponent they played, the Colts, the best way for the Saints to combat a fast defense like this is not to try and skirt around them, but pound them. The Saints need Chris Ivory to get off the (still) injured list, but rookie Mark Ingram has shown he knows how to attack a hole or make his own, quickly and vertically, which could not often be said of a prominent former running back with the team, one with the initials R.B. Yes, let the offensive line gig the Greenies a bit. And stay with it. By late in the third quarter, let’s see if the hosts bleed a little. Pierre Thomas can keep Green Bay pursuing in misdirection, and the trick of the night could be getting a few swing passes to the hands of the new Saint fullback, and former Packer, Korey Hall, for a little dose of their own medicine. Not only in protecting Brees, but the more apparent the game becomes in the hands of the Stones Of The Saints o-line, the better it will be for New Orleans. With two premier quarterbacks firing away, statistic and fantasy freaks will be tweeting as if those will pre-determine the outcome, but this one is up for grabs – in the trenches. By luck of the draw, Green Bay and New Orleans do not play one another often, but there is some irony there. 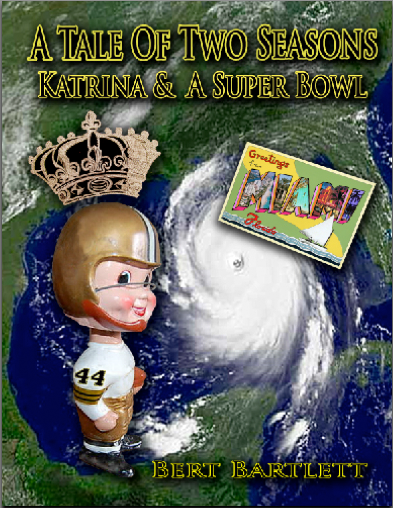 The Packers drilled the Saints shortly after Hurricane Katrina in 2005, in a display that resembled cruelty to animals. The game should have been called off by the refs at halftime and removed from the airwaves by the Federal Communications Commission. In Week 2 of the ’06 season, the Saints fell behind 13 zip in Green Bay, but came back and w0n, to start Sean Payton’s first year at 2-0. Since both wins were on the road, this game turned some heads that these Post K Saints may be better than expected. At the time , New Orleans was simply glad to have a team that stayed. They ended up going on to the NFC Championship. Vince Lombardi’s son is an assistant with the Saints. And there is the matter that Coach Payton’s first choice for a job before New Orleans was in Green Bay, as he revelealed in his book, Home Team. Thursday night has a playoff atmosphere for both teams as much as an opener can. A win or loss will be much more important not the morning after on Friday, but when conference playoff seedings occur in December. The Saints bring a current roster bereft of many sentimental names from the ’09 title run, like Bush, Shockey, and Chris Reis, who recovered the onsides kick in the Super Bowl. They have made some curious moves, like releasing starters Jon Stinchcomb and Alex Brown, who were good enough to start one day but apparently not good enough to make the team the next. Yet Coach Payton and his staff deserve every benefit of the doubt when it comes to their talent decisions, as up close and personal at practice every day, they see, What The Hell’s Goin’ On Out There. Here Come the Saints Eleven………. Enjoy the game, and tuning in to what is now the third season for Souls Of The Saints is appreciated. A Tale Of …….Three Seasons ! Good report. The bottom line is, in the words of Samuel Jackson, we aren’t gonna let a little cheese-eating team like the Packers mess up our operation. Dat’s the ‘tude El Seroux !